One thing I’ve started to embrace lately is eating pasta. I know so many people are against pasta and believe that all they do is make you gain weight and retain water, but I’ve decided to embrace this comforting bandwagon (at least when it’s cold out) by being super sneaky with the types of pasta I use. There are so many different types of pasta substitutions these days, with legume and bean pasta being at the forefront of this trend. As I’m grocery shopping I see everything from black bean pasta, lentil pasta, chickpea pasta and more. Everywhere I look there’s some sort of new type of pasta. Even though these types of pastas are still pretty up there in the carbohydrate count, they come with more nutritional benefits. What I love about the new bean pasta trend is that not only can you enjoy a favorite weeknight meal, you get additional nutrients like protein, great digestive fiber, vitamins and minerals and more! One thing I especially love about legume pasta is that the various amino acids found in legumes make this specific type of pasta a complete protein! So – if you’re going to whip up some pasta, make sure it’s bean pasta. Since I’m starting to add more bean pastas to my meal plan, I make sure that I’m also adding just as much veggies to my recipe as I am pasta. This way I’m always making sure that I’m getting enough vegetables in my day. 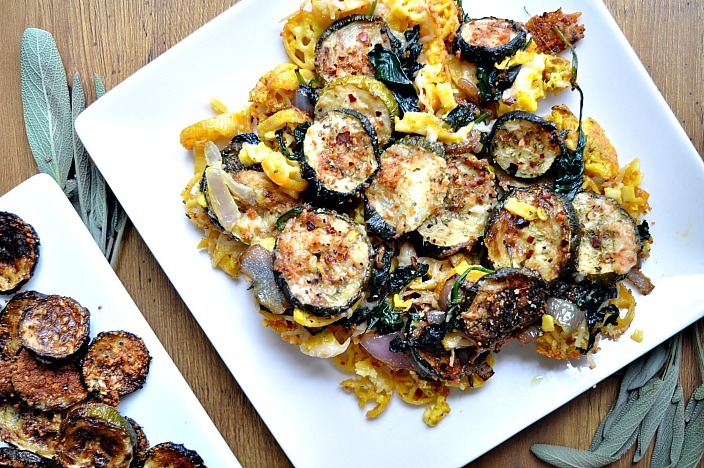 For this specific recipe, I combine the flavors of crispy parmesan, basil, zucchini, shallots, butter and turmeric. 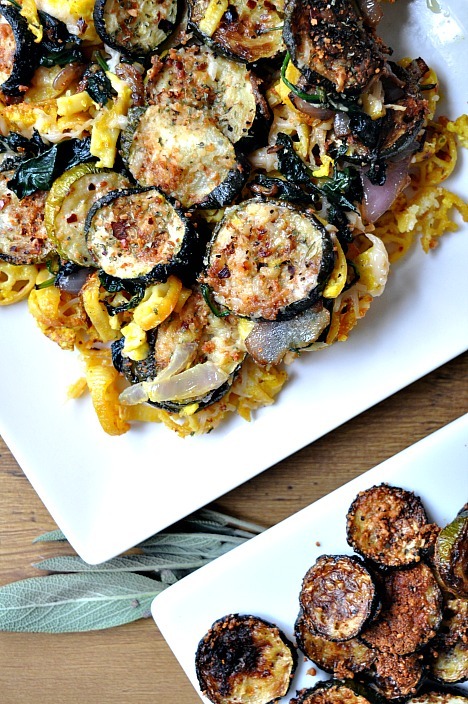 I broiled the zucchini and parmesan to get it extra crispy, and then threw the cooked pasta and zucchini in a skillet to make it al dente. To me this adds more flavor and texture which everyone loves! Heat 1 tbsp butter in a large skillet on medium heat, add the diced shallot and garlic and cook for about 5 minutes. Slice and add the zucchinis and cook on medium heat, flipping occasionally. In a separate pot, cook pasta according to package instructions. 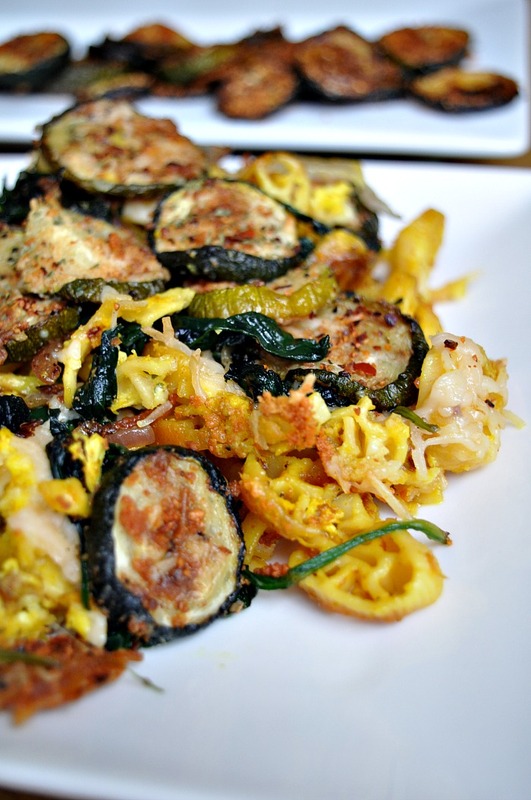 Drain and rinse with cold water, and then transfer the pasta to the skillet with the zucchini on low heat. Add the Parmesan, 1 tbsp of butter and basil, and saute all ingredients for about another 5-7 minutes. Add salt and pepper to taste – serve and enjoy! Previous ArticleCoconut Vinegar – A Step Above Apple Cider Vinegar?